At Bright Renovation we offer a selection that is suitable for any style of home. 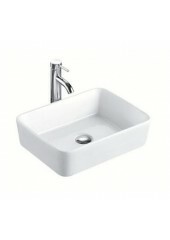 We cater for those looking for an above counter/drop in style, stone basin or standard under counter basin. Our range is not only affordable, but up to date with modern bathroom style trends. 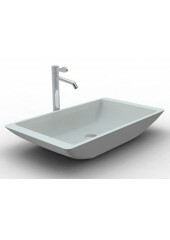 Above counter bathroom basins are a distinct style choice in many modern bathrooms. The raised vanity acts as a centerpiece for your bathroom and can be beneficial for keeping water and liquids from splashing onto your benchtop surface. Choose from circular, square and triangular shapes to suit your design. The classic bowl style looks as though it has been placed on top of your bench top adding levels and depth to what is usually a room of simple lines. There is an option for stone rather than ceramic, so you can even add different texture and look to your above counter vanity. Stone basins add a level of sophistication to your interior décor. Our standard under counter bathroom vanity units offer a uniformed look across your vanity area. Although some people may wish to turn their vanity unit into a feature piece of their bathroom, many prefer to highlight other areas such as a beautiful stone benchtop or a vintage mirror. Our under counter selection allows the sink to be recessed into the bench itself, allowing for unobstructed views of the mirror and counter top. 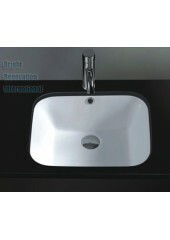 These basins offer you a cost-effective solution to modern bathroom styling and functionality. Browse our selection or contact us on (03) 9706 6618 to discuss which bathroom basins will suit your Melbourne home.